Highlights and top scorers from the Orange County basketball games on Tuesday, Jan. 22. 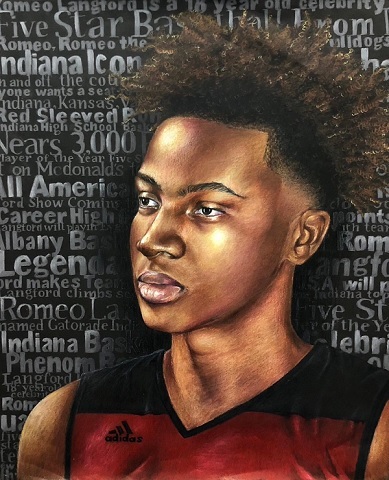 Cypress senior Jared Brown surpassed the 1,000-point mark for his career in leading the No. 7 Centurions to a 75-56 win over Pacifica in an Empire League game at Pacifica High. Brown had 25 points and stands at 1,017 for his varsity career. Anthony Tello added 16 points, nine rebounds and eight assists, and Clifton Patterson had 15 points and 12 rebounds for Cypress (23-2, 7-0). Ja’len Overstreet scored 30 points, 20 over his average, and No. 8 La Habra stayed unbeaten in the Freeway League with a 68-38 win at Sunny Hills. Sam Howlin added 10 points and eight rebounds for the Highlanders (22-2, 7-0). Daniel Esparza scored 23 points and No. 18 Sonora (18-7, 6-1) stayed close to La Habra in the Freeway League race with an 81-57 win over Fullerton. Sage Guillen led Fullerton with 20 points on six 3-pointers and Will Hollon had 18 points and six assists. Jon Scherer scored 25 points and No. 25 Crean Lutheran broke a second-place tie with Tustin by beating the Tillers 65-61 in an Empire League game at Crean. Aiden Gilbert added 14 points for the Saints (12-11, 5-2). Kyan Patel took game-high honors with 26 points for Tustin (13-10, 4-3). Jorge Galvan hit the game-winning 3-pointer with 21 seconds left and Orangewood Academy edged Saddleback Valley Christian 60-59 in a San Joaquin League game. Galvan finished with 19 points. No. 22 Tustin played spoiler in the Empire League race, beating No. 21 Crean Lutheran 61-43 at Tustin High to deal a severe blow to the Saints’ title hopes. Crean (20-4, 5-2) was looking at a possible first-place showdown with No. 19 Kennedy on Friday but now must win just to keep its flickering hopes alive. Kennedy (15-8, 7-0) can clinch the title outright with a win. Tustin (20-5, 4-3) held on to a slim chance for a title share. Regenus Gates scored 30 points and No. 19 Kennedy opened up a two-game lead in the Empire League with a 67-41 win at Valencia. Diya Tailor added 16 points for the Fighting Irish, who can wrap up the outright title with a win over second-place Crean Lutheran on Friday. No. 13 Aliso Niguel clinched at least a share of the South Coast League title with a 46-35 win at Tesoro. Carley Brown had 15 points and eight rebounds and Sarah Matossian made nine steals to go with her 10 points for the Wolverines (20-5, 6-0). No. 25 Corona del Mar had a lot more trouble with Edison in their second Surf League meeting of the season Tuesday night. Twelve days after a 28-point victory at Edison, the Sea Kings barely held off the Chargers 40-39 at Corona del Mar. Edison sank a free throw with two seconds left to pull within one point but missed the second free throw. Samantha Uehara scored 17 points and Tati Bruening had 10 points and 10 rebounds for CdM (16-10, 3-1), which set up a first-place showdown at No. 9 Los Alamitos on Thursday. Lainey Johnson led Edison (11-13, 0-4) with 15 points. San Juan Hills scored the first 18 points of the game and beat Capistrano Valley 55-35 at Capo Valley. Liza Hladek scored 14 points and Jordan Parkhurst had 12 points and nine rebounds for the Stallions (17-6, 5-1), who took sole possession of first place in the Sea View League by a half-game over Laguna Hills. Newport Harbor got 46 rebounds out of three players in beating Laguna Beach 49-25. Willa Rath had 20 rebounds to go with her 19 points, Emma Fults grabbed 18 caroms and Genevieve Perry pulled down eight. 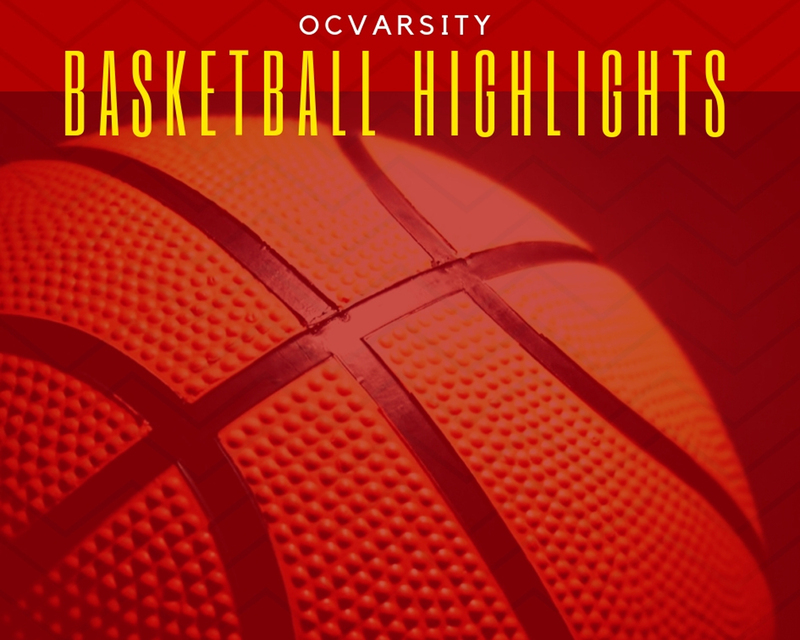 Highlights and top scorers from the Orange County basketball games on Tuesday, Jan. 29. BOYS BASKETBALL Tuesday’s basketball scoreboard David Yi set an Oxford Academy record with 40 points as the Patriots beat Glenn 77-39 in a 605 League game on Senior Night. Yi, a senior forward who will try to walk on at Penn, broke the mark of 34 points set by Salman Tailor in a 2014 game. Yi also had 14 rebounds, while Mumin Saba and Eric Ho had 10 points each for the Patriots (14-13, 5-4). Jake Poling scored 26 points and El Dorado clinched the North Hills League championship outright with a 53-36 win at El Modena. John Bakke and Shaun Turner added 16 points each for the Hawks (16-11, 5-0), who have a two-game lead with one to play. Beckman clinched at least a share of the Pacific Coast League title when it beat University 81-54 and Northwood lost in double-overtime at Irvine 47-40. Dylan Thoerner led five Patriots in double figures with 18 points and Christopher Muller had 16 for Beckman (18-8, 7-2), which can win the title outright with a win at Northwood on Thursday. Irvine knocked Northwood out of a first-place tie in the Pacific Coast League with a 47-40 win in double overtime at home. 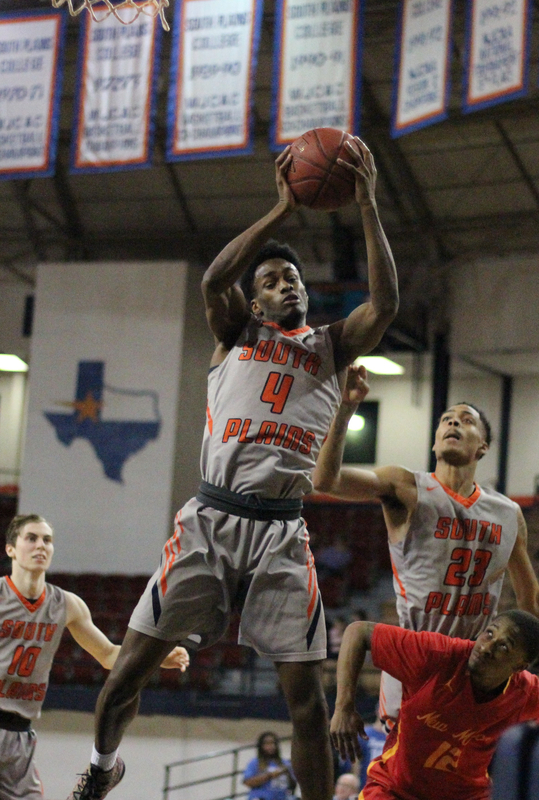 Devin Lee had 14 points, Hunter Anderson 11 and Chris Dean 10 for the Vaqueros, who avenged a 55-31 loss at Northwood on Jan. 15. Seth Locke led all scorers with 17 points for the Timberwolves (13-13, 6-3), who can still share the title if they beat Beckman at home on Thursday. Will Hollon sank three free throws with :00.3 showing on the clock to give Fullerton a 37-36 Freeway League win over Buena Park at Fullerton College. Hollon finished with 14 points and Zachary Perez had 10 for the Indians. No. 7 Cypress clinched the Empire League title outright with a 59-40 win over Kennedy. Anthony Tello had 14 points for the Centurions (25-2, 9-0). Richard Gan sank a 3-pointer in the final second to give Magnolia a 40-38 win over Anaheim in Orange League play. 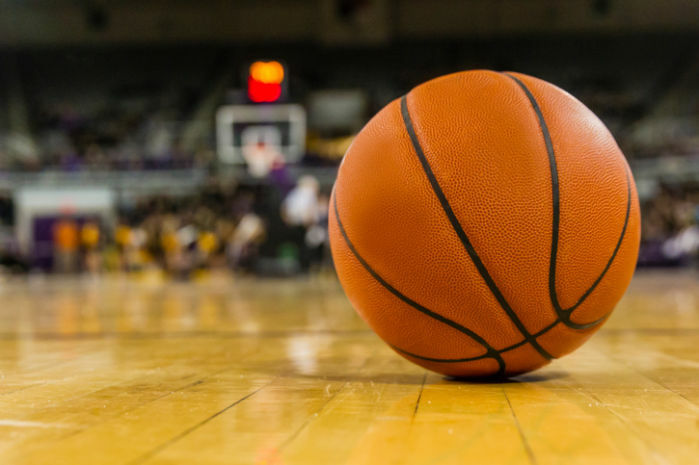 GIRLS BASKETBALL Tuesday’s basketball scoreboard Malia Goldsmith broke the University career scoring record Tuesday night as the Trojans beat Beckman 57-44 in a Pacific Coast League game at Beckman. Goldsmith scored 14 points and stands at 1,328 for her four-year varsity career, surpassing the 1,327 points scored by Lauren Hudash from 2004-08. Claire Kawata added 11 points and Soha Ali scored eight as No. 23 University (19-7) stayed unbeaten in the Pacific Coast League at 9-0. The Trojans had clinched the outright championship Friday and will conclude the regular season Thursday with a home game against Woodbridge. Beckman’s Jacqui Paredes led all scorers with 15 points. Goldsmith, a 5-foot-6 senior point guard, also sank her 142nd career 3-point basket Tuesday, tying the mark set by Dana Bossenmeyer from 2011-14. By the end of the season, coach Nicole Bradshaw said, Goldsmith will hold four career school records – points, assists, steals and 3-pointers made. Senior Austyn Masuno scored a career-high 34 points and grabbed 21 rebounds as No. 8 Oxford Academy wrapped up the 605 League title outright with a 60-25 rout of Glenn. Angie Choi added nine points and Mylee Madrazo scored eight for the Patriots (24-3, 9-0), who have won their nine league games by an average of 35 points. No. 9 Huntington Beach cleared up the Surf League race by beating Corona del Mar 50-21. Daniella Benabou scored 13 points and Bella Serrano had 11 points and 11 rebounds as the Oilers (21-6, 5-1) clinched the title outright on the last day of the league season. Had CdM (16-12, 3-3) won, there would have been a three-way tie for the title among those two teams and Los Alamitos (20-8, 4-2). Meghan McIntyre also had 11 points for Huntington Beach. San Juan Hills clinched a share of its first league championship since 2013-14 by beating El Toro 51-31 at home. Liza Hladek scored 24 points and Grace Gentry had 18 rebounds and three blocks as the Stallions (19-6) finished 7-1 in the Sea View League. Jordan Parkhurst added 10 points. Laguna Hills stayed on track to share the Sea View League crown by beating Mission Viejo 62-26 at home. Cierra Arlow had 27 points and 12 rebounds and Liandra Shaffer scored 15 points for Hawks (13-10, 6-1) who can clinch a tie for the title with a win at Capistrano Valley on Thursday. 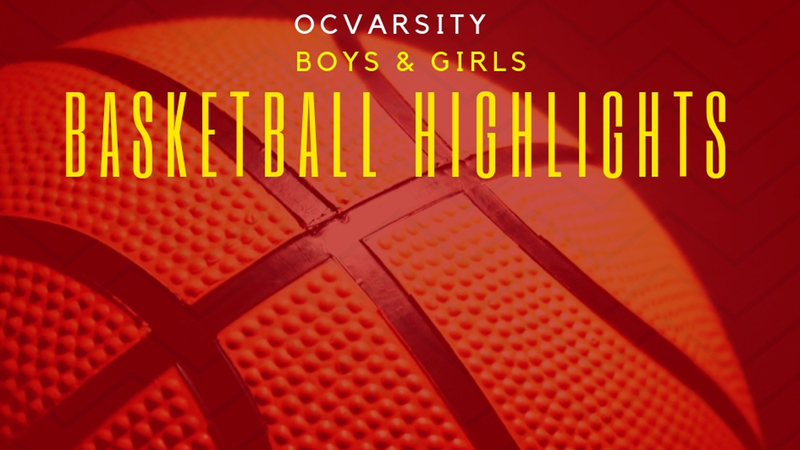 Tuesday’s top scorers BOYS Pts Player, school 40 Yi, Oxford Academy 29 Yauney, Troy 27 Hefner, Costa Mesa 26 Erving, Segerstrom 26 J. Silva, Santa Ana 23 Platt, Yorba Linda 22 Martinez, Garden Grove 21 Stines, Sonora 21 Villalpando, Costa Mesa 20 Hashemi, Portola 20 I. Lee, Westminster 19 Castro, Garden Grove 18 Cooper, Woodbridge 18 Lucas, Saddleback 18 Montera, Brea Olinda 18 Perry, Canyon 18 Sloniger, Valencia 18 Thoerner, Beckman 17 Locke, Northwood 17 Roy, University 16 Muller, Beckman 16 Salinas, Saddleback 15 Overstreet, La Habra 14 Clarke-Hosler, Woodbridge 14 Gill, University 14 Hollon, Fullerton 14 Knutson, Yorba Linda 14 Lee, Irvine 14 Poling, El Dorado 14 Tello, Cypress GIRLS Pts Player, school 34 Masuno, Oxford Academy 28 Orozco, Valencia 27 Arlow, Laguna Hills 27 Nguyen, Marina 26 Yoshitake, Sonora 24 Hladek, San Juan Hills 23 Clark, Trabuco Hills 23 Jones, Foothill 23 McArthur, Dana Hills 23 A. Nguyen, La Quinta 22 Avalos, Buena Park 22 Lee, Brea Olinda 22 Mack, Katella 22 O’Malley, Crean Lutheran 20 Uyematsu, Canyon 19 Feldman, Crean Lutheran 18 Felix, Rosary 18 Gates, Kennedy 17 Miller, Los Alamitos 16 Cuevas, Santa Ana Valley 16 DeGree, San Clemente 16 Gustafson, Brea Olinda 16 Rodriguez, Rosary 16 Smead, Saddleback Valley Christian 15 Avinger, Rosary 15 Paredes, Beckman 15 Shaffer, Laguna Hills 15 Vela, Foothill 14 Anderson, Sonora 14 Goldsmith, University 14 A. Reed, Crean Lutheran 14 Serensits, Savanna 13 Benabou, Huntington Beach 13 Farrell, Canyon 13 Hill, Saddleback Valley Christian 12 Chambers, Dana Hills 12 J. Corona, Whittier Christian 12 Maggard, Woodbridge 12 Price, Brea Olinda 12 Trinh, Yorba Linda Coaches and team representatives are encouraged to email their scores and stats after every game to the Register at preps@ocregister.com. Highlights and top scorers from the Orange County basketball games on Friday, Jan. 25. BOYS BASKETBALL Friday’s basketball scoreboard Three Cypress players scored 20 or more points and the No. 7 Centurions clinched at least a share of the Empire League title with a 79-58 win over Tustin at Cypress High. Anthony Tello had 23 points, Jared Brown 22 and Elijah Vaielua 20 points and 15 rebounds for Cypress (24-2, 8-0), which can break the school record for wins in Tuesday’s game against Kennedy. Dayne Chalmers scored 28 points on 12-of-14 field-goal shooting as No. 17 Newport Harbor beat No. 16 Edison 55-40 to create the possibility of all four Surf League teams finishing the season at 3-3 next week. Sam Barela added 10 points and four assists for the Sailors (23-4, 2-3), who will visit Corona del Mar (18-8, 3-2) on Wednesday. Kaden Headington scored 16 points for Edison (18-9, 3-2) which will visit Los Alamitos (9-15, 2-3) the same night. Cameron Dashiell had 32 points, eight steals and five assists as No. 8 La Habra repelled a determined Troy team 76-69. The Highlanders (23-2, 8-0) will visit second-place Sonora on Tuesday with a chance to clinch the Freeway League title outright. Kyle Phan had 21 points for Troy (15-11, 4-4). No. 5 Canyon and No. 6 Villa Park stayed on pace for a season-ending showdown for the Crestview League title with easy victories Friday night. Canyon (20-6, 4-0) beat Foothill 53-38 behind 19 points by A.J. Perry. The Comanches need to avoid another near-upset at Esperanza on Tuesday after barely beating the Aztecs 53-50 last Tuesday at home. Villa Park (22-2, 3-1) throttled Esperanza 86-48 and will visit Foothill on Tuesday, then travel to Canyon on Thursday. Three Costa Mesa players exceeded 20 points as the Mustangs maintained their slim lead in the Orange Coast League with a 78-60 win over visiting Saddleback. Nico Dasca had 27 points, Tre Villalpando 22 and Osman Hefner 21 for the Mustangs (13-11, 7-1), who host their two nearest pursuers next week – Santa Ana on Tuesday and Estancia on Thursday. Seth Locke hit the game-winning jump shot with 9.6 seconds left to give Northwood a 40-39 win over Portola in a crucial Pacific Coast League game. Locke finished with 14 points and Shandon Sharifi scored 16 as the Timberwolves (17-8, 6-2) remained in a first-place tie with Beckman and knocked Portola (13-13, 4-4) out of the race. Northwood will visit Irvine on Tuesday and host Beckman in the final regular-season game Thursday. Mohsen Hashemi led Portola with 19 points. Dylan Thoerner scored 33 points and Beckman needed virtually all of them to outlast Woodbridge 79-72 in another key PCL game. Aaman Soma added 20 points as the Patriots (17-8, 6-2) stayed tied for first with Northwood. Beckman will host University on Tuesday before going to Northwood on Thursday. Brian Bae had 17 points and Chris Cooper 14 for Woodbridge (8-16, 3-5), which was tied with Beckman going into the fourth quarter. GIRLS BASKETBALL Friday’s basketball scoreboard No. 19 Kennedy pulled away from a one-point halftime lead and beat No. 21 Crean Lutheran 64-50 to clinch outright possession of the Empire League championship. Second-place Crean (20-5, 5-3) still had slim title hopes going into the game and led 23-21 late in the half. But Kennedy’s Regenus Gates hit a 30-foot 3-pointer at the buzzer and the Fighting Irish (16-8, 8-0) went on to outscore the Saints 40-27 in the second half. Gates finished with 32 points. Taylor Feldman had 20 for Crean. Malia Goldsmith had 26 points and 12 assists and No. 24 University clinched the outright championship of the Pacific Coast League with a 69-53 win over Irvine at Irvine High. Claire Kawata added 14 points on four 3-pointers and Aryn Press had 13 points and 12 rebounds for the Trojans (18-7, 8-0), who pulled three games ahead of second-place Irvine (12-14, 5-3) with two to play. The game was close until University broke it open with a 21-11 fourth quarter. No. 6 Troy scored the first 45 points of the game and beat La Habra 73-9 to clinch at least a share of the Freeway League championship. The Warriors are 19-6 overall and 8-0 in league, two games up with two to play. No. 8 Oxford Academy clinched the 605 League title with a 67-30 win over Whitney. The Wildcats (23-3, 8-0) had four players in double figures, led by Angie Choi with 16 points and nine assists. Austyn Masuno scored 13 points and blocked eight shots. Friday’s top scorers BOYS Pts Player, school 33 Thoerner, Beckman 32 Dashiell, La Habra 31 Alamudun, Marina 28 Chalmers, Newport Harbor 27 Dasca, Costa Mesa 26 Poling, El Dorado 25 Maker, Orange Lutheran 23 Castro, Garden Grove 23 Tello, Cypress 23 Yi, Oxford Academy 22 Brown, Cypress 22 Caiazzo, Ocean View 22 Martinez, Garden Grove 22 Villalpando, Costa Mesa 22 Weingard, San Juan Hills 21 D’Amato, El Toro 21 Hefner, Costa Mesa 21 Phan, Troy 20 Humphreys, Corona del Mar 20 Soma, Beckman 20 Vaielua, Cypress 19 Hashemi, Portola 19 Naess, Laguna Beach 19 Nguyen, Ocean View 19 Perry, Canyon 19 Valdez, Godinez 19 K. Vu, Ocean View 18 Headington, Edison 18 Porter, Irvine 17 Bae, Woodbridge 17 Brookins, Westminster 16 Bakke, El Dorado 16 Egbert, Capistrano Valley 16 Keeler, Marina 16 G. O’Neill, Saddleback Valley Christian 16 Ortega, Garden Grove 16 Salinas, Saddleback 16 Sharifi, Northwood 16 Turner, El Dorado 15 Kravitz, Laguna Beach 15 Yauney, Troy 14 Cooper, Woodbridge 14 Hewitt, Mission Viejo 14 Kung, Oxford Academy 14 I. Lee, Westminster 14 Locke, Northwood 14 Miramontes, Godinez 14 Patel, Tustin 14 Waite, Canyon 13 Dean, Irvine 13 Esparza, Sonora 13 Gald, Mission Viejo 13 Miller, Beckman 13 Overstreet, La Habra 13 Saccaccio, Huntington Beach 13 Stines, Sonora 13 Stone, Corona del Mar 12 Gleason, Capistrano Valley 12 Gutierrez, El Toro GIRLS Pts Player, school 35 Lee, Brea Olinda 32 Gates, Kennedy 26 Goldsmith, University 23 Maggard, Woodbridge 22 Hermanson, Tustin 22 Jones, Foothill 20 Feldman, Crean Lutheran 19 Jo. Corona, Whittier Christian 18 MacKay, Pacifica Christian 16 Choi, Oxford Academy 14 French, Beckman 14 Kawata, University 14 Madrazo, Oxford Academy 13 Gagnon, Oxford Academy 13 Lizardo, Sonora 13 Masuno, Oxford Academy 13 Press, University 12 Eddy, Pacifica Christian 12 Esquivel, Katella 12 Gustafson, Brea Olinda 12 Vela, Foothill Coaches and team representatives are encouraged to email their scores and stats after every game to the Register at preps@ocregister.com. Highlights and top scorers from the Orange County basketball games on Thursday, Feb. 14. BOYS BASKETBALL CIF-SS PLAYOFFS Thursday’s basketball scoreboard DIVISION 3A Luke Powell scored a season-high 22 points, nearly double his 11.3 average, to lead No. 11 Capistrano Valley Christian to a 41-35 win over Salesian in a Division 3A quarterfinal game Thursday night at CVC. The Eagles trailed 16-15 at halftime but surged ahead 30-24 in the third quarter. Blaine Petronis and Riely Petronis had six points each and grabbed eight and five rebounds, respectively. Festus Ndumanya scored a season-low four points, 15 under his average, but had nine rebounds and four blocks. CVC (24-7) will host Palos Verdes (25-4) in Saturday’s semifinals. DIVISION 5AA Sophomore guard Cooper Green scored a career-high 24 points on six 3-pointers to lead Sage Hill to a 54-40 win over Yeshiva University in Los Angeles. Jack Strohman added 12 points and Johnny King 10 as the Lightning (21-10) reached the CIF-SS semifinals for the first time. They will play Bassett on Saturday at Sage Hill. Thursday’s top scorers BOYS Pts Player, school 31 Kyman, Santa Margarita 26 Gilbert, Crean Lutheran 26 Wright, Fairmont Prep 25 Brown, Cypress 24 Green, Sage Hill 23 Pope, Orange Lutheran 22 Powell, Capistrano Valley Christian 21 Agbonkpolo, Santa Margarita 20 Yauney, Troy 19 Cisse, Fairmont Prep 14 Patterson, Cypress 13 Mallette, Pacifica Christian 12 Strohman, Sage Hill 12 Swardstrom, Crean Lutheran 12 Wiese, Dana Hills 11 Phan, Troy 11 Scherer, Crean Lutheran 10 Brown, Pacifica Christian 10 Davis, Pacifica Christian 10 Jimenez, Fairmont Prep 10 King, Sage Hill 10 Nguesso, Fairmont Prep Coaches and team representatives are encouraged to email their scores and stats after every game to the Register at preps@ocregister.com. Syracuse fended off a second-half surge by Pittsburgh in a 65-56 victory on Saturday. 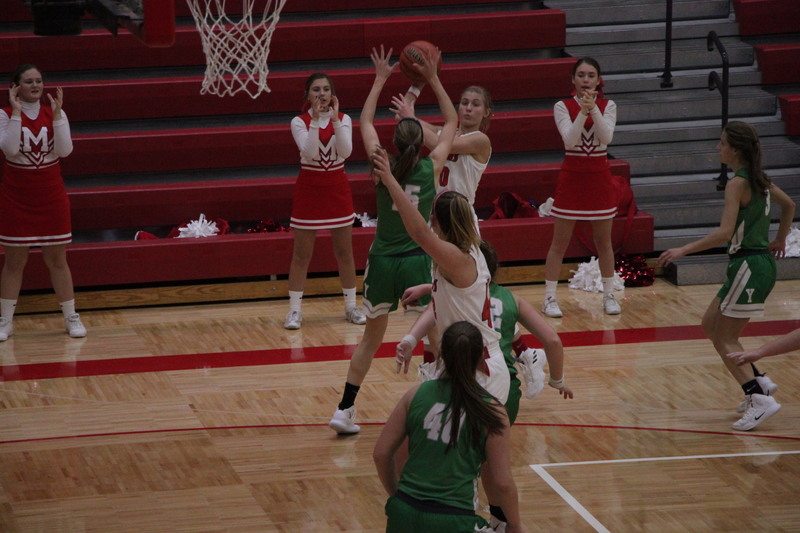 Mississinewa won 57-47 after pulling away in the third quarter, outscoring the Tigers 22-9.